Yesterday the Christmas tree was finally put back into its box, like Dracula returned to his coffin, and the new year can truly begin. This is my first blog post for the year and I have little time this morning, some of my family are here and I have duties, so this is just a marker. As the New Year approaches I think about resolutions or intentions. A mixture of running, yoga and tai-chi is a combination that appeals to me as a kind of core physical discipline. The blog has become a way of expressing my feelings but there are some things that cannot be expressed in a public blog. They are part of us being human, about our relatives and relationships and not just our own story. There are a few such personal issues on my mind but the one that is most prominent is the matter of my mother’s Alzheimer’s which is becoming more difficult to manage. It is part of my life so I mention it here but I’m not going into details. 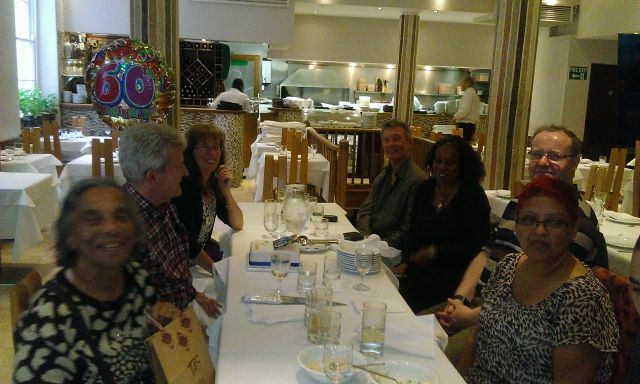 The picture was taken at a birthday lunch for my brother-in-law Alan. 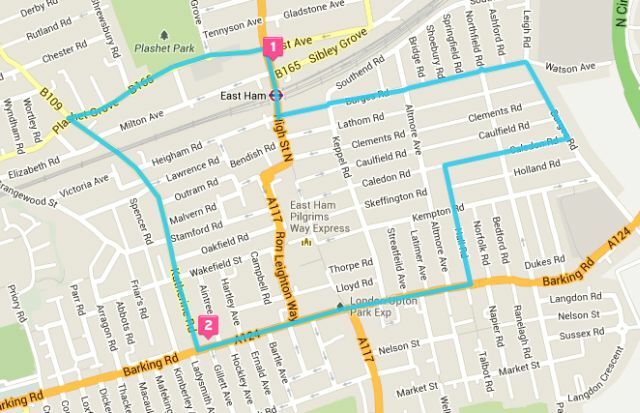 The map of my route looks quite impressive, even though I have run a lot further in the past. I missed tai-chi last night. It’s pre-paid so I almost never skip class but I didn’t feel good. This morning I woke a little after 5:00 and was tempted to put off running for another day but I resisted and also resisted the temptation to do the shorter run. The 2.76 miles felt more difficult than on my previous run, six days ago, but I completed the distance in a slightly shorter time, improving my mile-pace by 11 seconds. Running opposes the lethargy and depression that I feel. A good run resets my week and motivation to some extent but I need to keep this going.